In our previous post, Local is the New Black, we talked about the rising popularity of local production and how 3D printing is an integral to this trend. Today’s post we will highlight several companies that are pioneering the future of footwear production, disrupting traditional manufacturing practices. 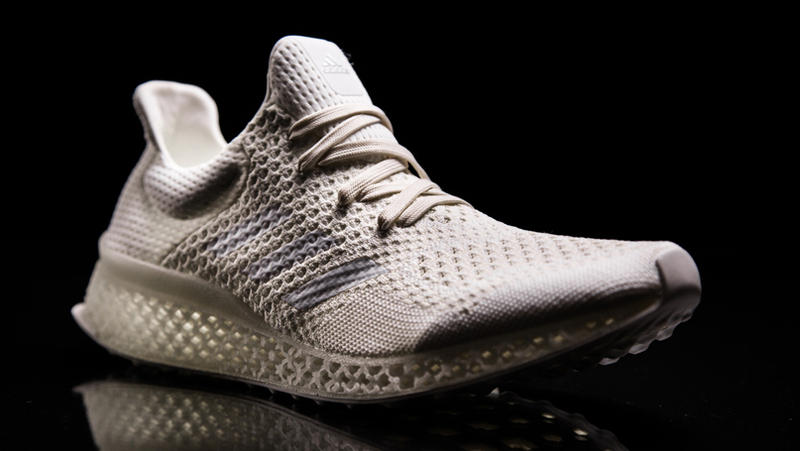 The Adidas Futurecraft 3D printed midsole is an exciting step into additive manufacturing for the footwear industry. Although not entirely 3D printed, Adidas uses a lattice structure to address the most demanding aspect of footwear engineering, underfoot cushioning. This has been made possible by the further development of soft and flexible print material for selective laser sintering. 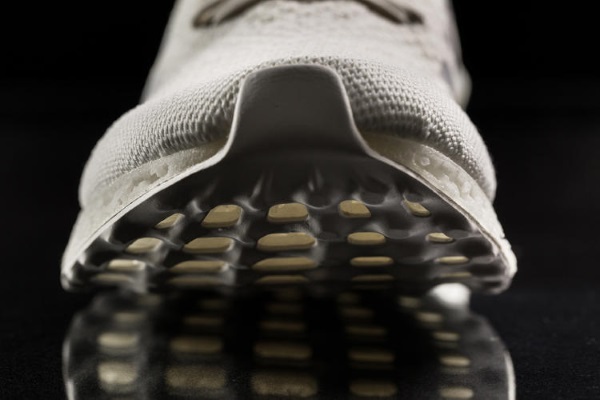 What’s Good: While the concept and technology have been available for a while, footwear brands have been reluctant to debut it’s 3D printed ideas publicly and it is nice to see Adidas reveal a useful progression into additive manufacturing. Use of a lattice structure is a smart design to apply for a 3D printed part as it is highly efficient. Additionally, the use of parametric design, a foot scan, and proper algorithms will allow customers to dial in to their exact cushioning profile. What’s Bad: Currently, printing parts for footwear is cost prohibitive. Based on our experience with 3D printing, we believe that this part is somewhere around $600 for each midsole component. It is expected that the cost will decrease in the coming years due to the release of intellectual property that has been locked up for the last 25 years. It was a bit disappointing not to see a completely 3D printed upper to complement the Futurecraft Midsole. Overview: Thanks Adidas for taking a step into 3D printing. Looking forward to some more inspiration. 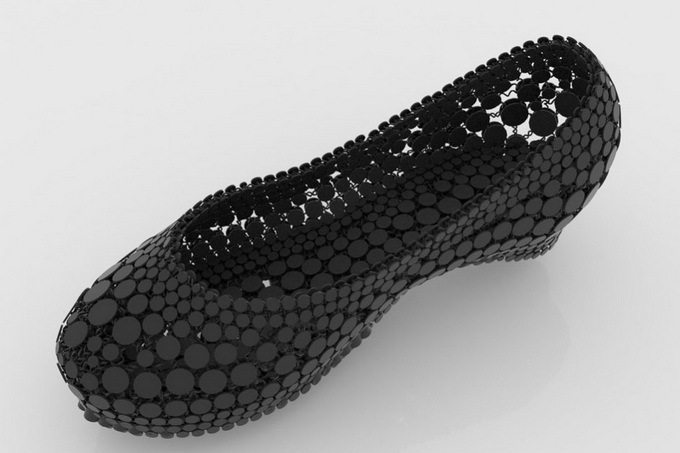 Continuum has been pushing the envelope of 3D printing in the fashion world for years now, and is one of the few footwear and apparel brands that has 3D printed products available for purchase. N12 system applied to the STRVCT shoe. What’s Good: Use of digital and 3D printed fabrics like their N12 system provide encouraging applications for a printed upper. While they claim that their N12 system is not tested for footwear, they do have some compelling products on the market such as the Laurel Tree Sandal and the STRVCT. The use of materials like nylon and ABS plastics means that they are robust. What’s Bad: You definitely won’t be able to wear these products all day as they are printed and made entirely from hard materials. Lead times of 3 weeks means that this product is suited for the early adopter who really appreciates the fact that they are going to wear something that is 3D printed. Although not a fault of Continuum, long lead times due to long print times highlight one of the underlying challenges of additive manufacturing. Overview: Continuum has continued to progress their designs and could be a great source for further inspiration for the footwear industry. There are currently many restraints associated with additive manufacturing for footwear applications; however, there is potential to completely revolutionize the way the industry produces shoes. Current manufacturing processes have many known faults that CEO’s continuously struggle to address, mainly due to labor demand of building footwear and overseas locations of production facilities. Does 3D printing provide that light at the end of the tunnel?